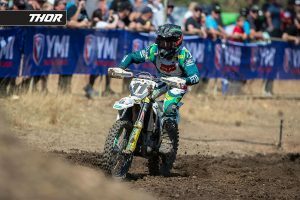 A selection of riders detail round 10 of the 2018 Pirelli MX Nationals at Coolum, Queensland. Team and privateer competitors can submit comments to [email protected] by Monday afternoon after events for inclusion in the post-event Quotebook feature. Last year I won nine of the ten rounds and I made a little deal with myself this year to aim to win every round. Today I was able to achieve that and I’m super stoked to be able to do it with this team of people behind me at CDR Yamaha Monster Energy as well as what could be my final round of motocross in Australia for some time. The track today was tough as the sand was deep and the ruts made it a real challenge. Physically, it was as demanding a track we have had in some time so I’m thankful for the work my trainer, Guy Andrews and I have put in. Thank you to WEM for another great series as well as the event sponsors. I’m honoured to have won this championship three times now and it was something I dreamed about as a kid when I first started racing on a YZ85. Finally, a huge thank you to my family, girlfriend, my mechanic Aiden who is prepared to do whatever it takes and the CDR Yamaha Monster Energy Team who make it feel like a second home at the race track. Today was a little disappointing. I have done well at this track in the past, but I found it challenging to ride today and just couldn’t get a good flowing going on it. The sand was much deeper than what we have had in recent years and I just didn’t adapt well to it. My goal for the year was again to be in the top five and I achieved that, but I still feel I can do much better and there is more speed within me. 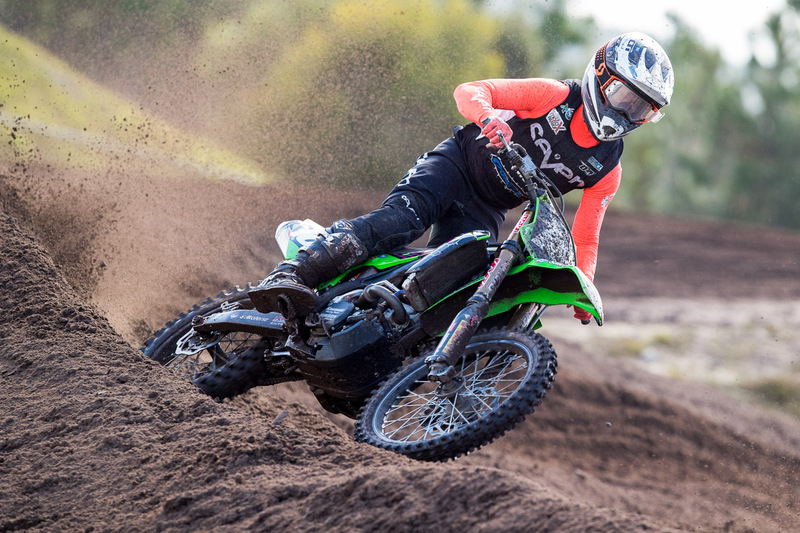 We have a few weeks break before the supercross series starts so I am going to take a few days to refresh and then I really want to come out swinging on 15 September at the opening round of the Australian Supercross Championship. It was good to get through the weekend and wrap-up third overall in the championship. I would’ve liked to have been able to fight with the front guys this weekend, but there are no excuses there – I was a little off today. 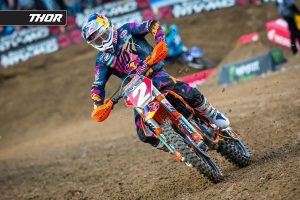 I’m really looking forward to supercross now, I actually think I’m a stronger supercross rider and the team already has my supercross bike ready to go, so we’re going to get straight into it and give the championship a real good crack. It was a good weekend. I got into Super Pole for the second time this year, so that was real good. 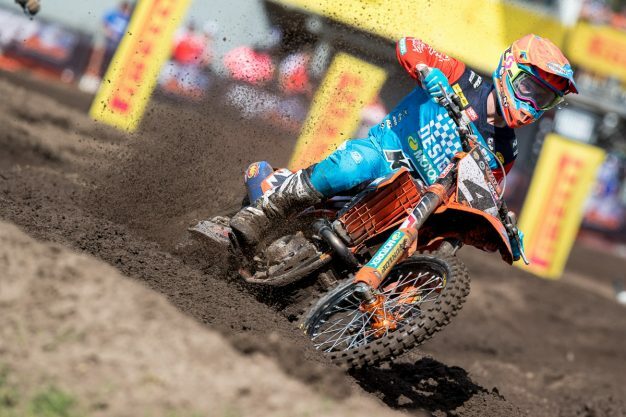 In the first moto I charged through quite quickly and got lucky that Brett Metcalfe ran out of fuel, so that gave me fourth. I was chopping through the field in the last one before a crash put me out, but I got back to eighth, which gave me fifth for the day. It was a good way to finish the season and a goal of mine all year, so thank you to everybody in the team for their efforts all season. What a way to spend my 18th! Heading into the weekend, I was feeling really good. The team didn’t put pressure on me, but with Willsy on the sidelines, I really wanted to give them some good results. I had strong starts in both races and apart from a crash about halfway through the first race I was able to hold my own against some of the best racers in the country. I really thank DPH, Husqvarna, Thor, Motorex, Dunlop, Vortex, Topline, Unifilter and all our supporters for the opportunity these last few weeks. I’ve still got a lot to learn and plenty of work to do, but it’s been an awesome opportunity. It was a tough weekend for me. 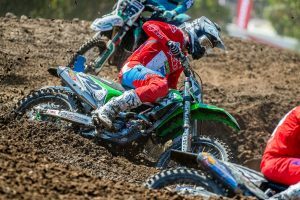 I didn’t have the flow from the get-go – I wasn’t happy with how I was riding and I was a little tight, but in moto two I improved in my riding. It would have been good to get second in the championship, although third is a huge achievement for me from where I came from. I’m happy with it and I’m really thankful for the team believing in me.